My adult son and I are travelling to India the end of this month and still have been unable to book accommodations at Monasteries and Ashrams. Can anyone 1) suggest Buddhist oriented Monasteries at Bodh Gaya, Varanasi and at McLeodGanj 2) suggest Ashram at Rishikesh (? Parmarth Niketan) 3) (most importantly)provide any contact info other than phone as I have struck out with a) no answer and b) no English using the phone. The trip is also about three people I admire: Mohandas Ghandi, Jiddu Krishnamurti and the Dalai Lama - so any suggestions how to enrich our travels with this in mind would be appreciated. I am aware, for instance, of the Krishnamurti Center in Varanasi. The JK Foundation is at Raj Ghat which is a bit of a way out of Varanasi they charge $25 P/N. While in Varanasi try & visit the Theosophical Lodge it's a huge peaceful place set back in time in large private grounds. The President is a nice man who will show you around, his wife's father travelled everywhere with JK whenever He was in India & took notes of all His talks/discussions which were later made into JK's books. Have you considered visiting Rewalsar Lake near Mandi & Bir in Kangra valley, they are both Tibetan Buddhist settlements & at Rewalsar you can visit the caves of Padmasambhava where He did penance befor heading to Tibet to spread Buddhism, it's a very still place. To the best of my recollection there are no monasteries offering accommodation in McLeodGanj but I would highly recommend Takhyil House (ph 221152) or consider the Hotel Tibet - which is run my the Tibetan government in exile - (ph221587). You may also consider Chonor House (www.norulingka.org ) which is r...w.tushita.info) - they have the introduction to Buddhism course running May 15-24) which I have taken and found to be a wonderful experience that deepened my understanding and practice. Thankyou kullukid for taking the time to reply. I am still sorting out your thoughtful advice but I wanted you to know that it will undoubtedly enrich our journey and that I am grateful. I will find a way to pass on your blessings to another traveller. Greetings NatashaC - thankyou for taking the time to reply. 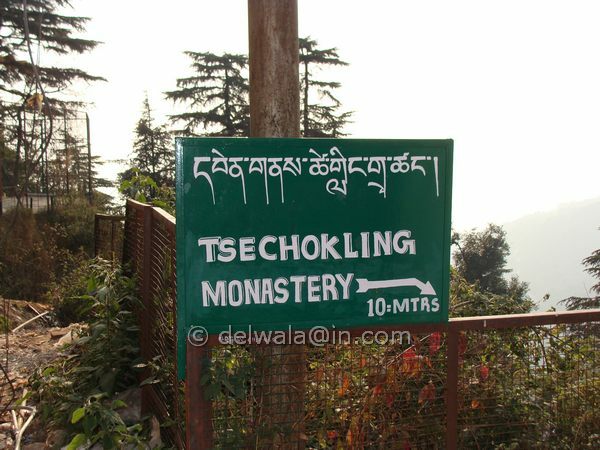 I've heard of a Monastery with accommodations in McLeodGanj but I can no longer find the reference. At one point I tried to get more information on the Monastery but nothing turned up with a google search. I'll let you know if I find something - either before or after my travels. I appreciate the information on the hotels in McLeodGanj but I have my spiritual heart set on staying in a Buddhist Monastery, if possible. I'll keep trying until I depart, then refer back to your note if and when I strike out. The Tushita residential Buddhism course sounds wonderful. In fact I had signed us up for it a couple months ago but my nineteen year old son said that 'this course will probably be ten times better than any other course he could find at home in Canada but India and the experiences it offers will probably be ten time richer than any such course'. I don't know if I agree but the philosophy of our travels is that we do what we want to do and there is no father/son hierarchy - so I follow his wisdom and look foward to the discovery of the everyday. My heartfelt thanks for your generosity of spirit. You may try contacting Tse Chokling Monsatery at tpemalama AT yahoo.co.in , till sometimes back they used to rent out rooms at a very decent price. You may talk to Lama Pema Lama at +91 1892 221726, 220760 . It's situated in a forest, just below Dalai Lama temple. 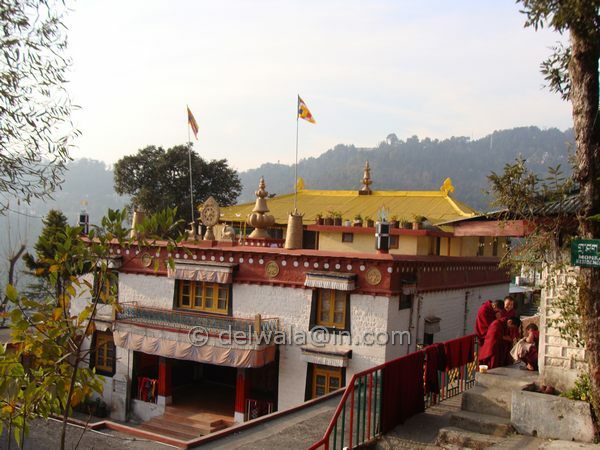 Walk to this monastery from Mcleodganj main square takes around 10 minutes, climb up will take more time. This is exactly what I was looking for, thank you so much. I have already sent an enquiry in the hope that it is not too late to reserve a large room for mid-May. I also found your pictures to be useful. I am a visual person having been a documentary filmmaker for over thirty years. The pictures help to give me a 'frame of reference'. 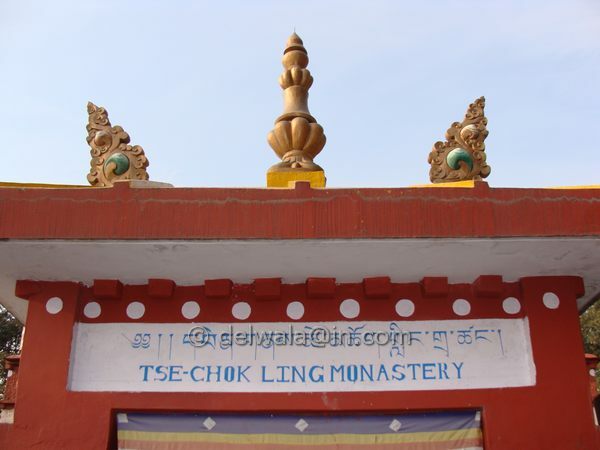 I will remember your help when I am in McLeodGanj, especially if I am fortunate enough to stay at the Tse Chokling Monastery. I was just reading through this and thought I had to say what a really nice thread!! I too would like to spend some time in an Ashram while I am in India at the end of this year. I did email one in Madurai but never got a reply. Sorry for intruding in your thread Travelhound!! Can anyone help me with an Ashram in southern India? This is fantastic information. I have searched for a while and only had two of your six contacts. It strikes as this would be very useful information to compile as there must be others like myself who want an authentic spiritual connection with India through Monasteries and Ashrams. Is there anyone else who can add to the list started by delhiwala? If so, please send it right here and when we get enough then I'll post it or whatever makes sense. Thanks, once again, delhiwala. You are a fountain of knowledge! I hope someone can help you and then when you find out what you are seeking you can post it here for others. This is my first 'thread' so I'm delighted someone else finds it useful. I will be checking this thread out on a regular basis. Not sure what you are looking for in a Ashram but have you considered staying at Ramana Maharishi's Ashram at Arunachala in Thiruvannamalai? That ashram suggested by KK is a great place. Full of spiritual energy. Another option may be IshaYoga Centre at Coimbatore.